At PHS, we want your Thanksgiving meal to be special! 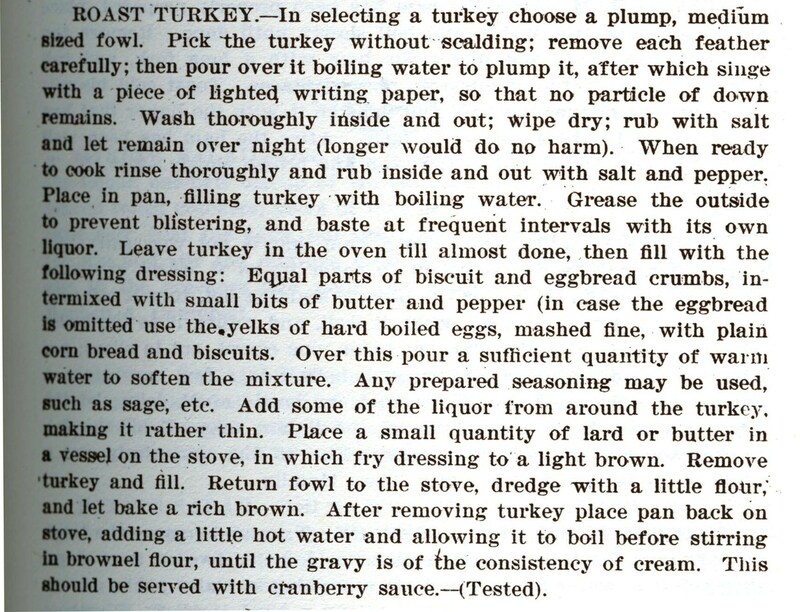 Reference Archivist Dave Koch went into the collections and found a few recipes to try for your holiday meal. 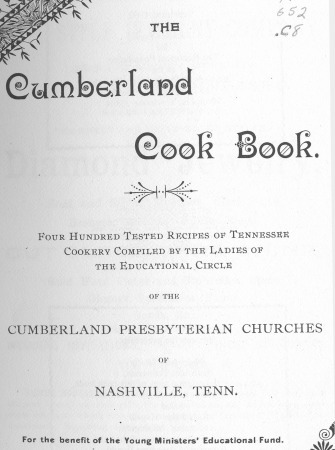 Originally published in 1895 in Nashville, Tennessee, The Cumberland Cookbook contains “four hundred tested recipes of Tennessee cookery.” Back then, making a turkey required more than a simple trip to the grocery store.